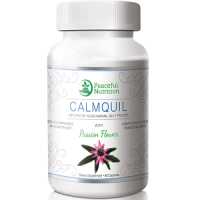 Today we review Calmquil, a product that Peaceful Nutrition made. 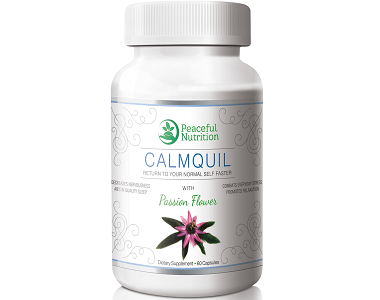 The head of the company stated that it is her goal to help those in need through nutrition and lifestyle of controlling their anxiety The manufacturer made the product to help you combat everyday stress and promote relaxation. The product should decrease nervousness and help you sleep. Vitamin C – a well-known antioxidant that is involved in providing relief for anxiety. Thiamin – supports the adrenal gland, which reduces stress and anxiety levels. Niacin – reduces anxiety and depression. Vitamin B6 – balances out the anxiety that occurs in conjunction with PMS. Vitamin B12 – important in balancing out depressive moods. Pantothenic Acid – helps reduce stress. Magnesium – the ingredient helps to reduce anxiety and depression. We saw that the manufacturer left out key ingredients such as Magnolia, Brahmi, Taurine and Chamomile. The manufacturer made the product in a facility that processes milk, soy, eggs, nuts and wheat. How Do You Use Calmquil? The manufacturer mentioned that each serving size is 2 capsules. That is the only information the manufacturer stated. The manufacturer did not inform us of the time of day that we should use the capsules or if we should combine food into the doses. The manufacturer did not provide a day and night formula to address the body’s different needs during the day and night. You can buy the product from the manufacturer’s website One bottle of the product contains 60 capsules. Each bottle costs $45.99. The manufacturer offered a discount on subscriptions, not if you purchase only one bottle. The other cost consumers are liable for is the shipping of the product. That is not part of the purchase price. Yes. Consumers do have a money-back guarantee attached to this product. The guarantee period is 60 days after purchase. Consumers who take advantage of the money-back guarantee have to send the product to the manufacturer at their expense. Scrutinizing the product helped us to discover all the details that consumers are interested to know about the product. To conclude, we feel that consumers can purchase a better product than this one since we could not find any proof that this product delivers regular results. 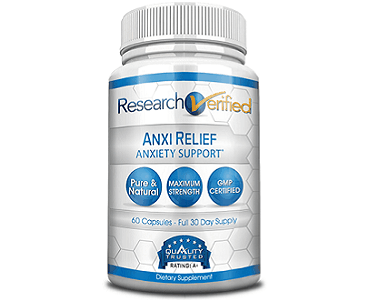 The manufacturer made the product to help you combat everyday stress and promote relaxation. The product should decrease nervousness and help you to sleep. The manufacturer’s website is easy to navigate. The manufacturer did not stipulate detailed instructions on how to use the product. The crucial information that the manufacturer left out is the time of day that we should consume the doses and if we should combine the doses into meals. The manufacturer only offered a discount to consumers who subscribe to the product. The manufacturer did not include shipping in the purchase price. Consumers have to pay for the shipping to receive the product and to send it back if they wish to claim a refund. One of the major concerns we have about the product is that we could not find any evidence stating that the product works. If consumers buy the product, they must bear in mind that they are buying a product that other consumers have not verified. After scouring the market, we have seen more effective products than this one.